From our history and base near to Scunthorpe, Lincolnshire, steelwork has formed the structure of Harrison Eastoft from our rise in 1946. We have strengthened our business with many evolving services since our formation, but steelwork and fabrications remain at the core of our operation. 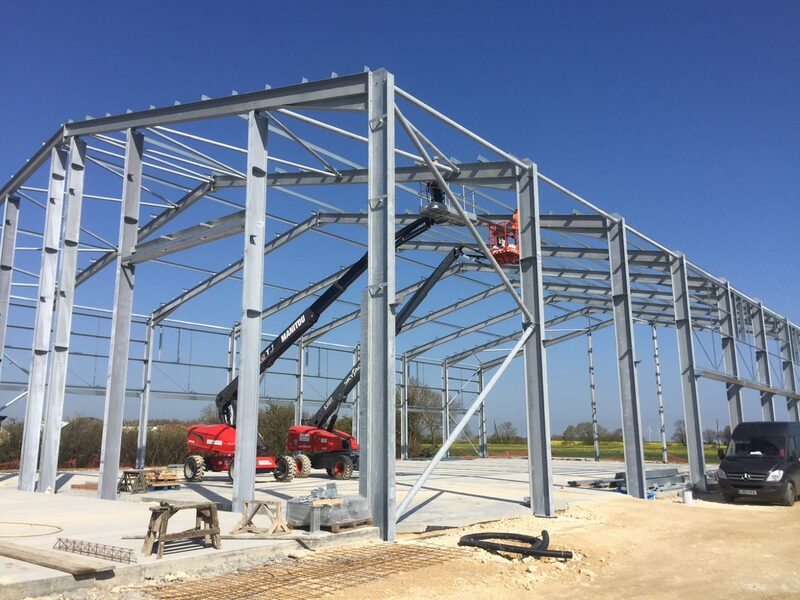 Harrison Eastoft can provide structural steelwork and fabrication to your specifications, or the full design and build package. We are able to produce bespoke schemes, or encompass an entire project from the design to the civil engineering, and for any project size. We produce quality steel framed buildings for any structures, from industrial and commercial units to agricultural buildings. Harrison Eastoft’s wide-ranging portfolio of work includes warehouses and factories. All of our steel framed buildings are of course fabricated to BS EN 1090-1 and carry the CE Mark. You can rely on us for a quality solution. Engineered in our own fabrication workshops ensures that the utmost quality control is maintained at every step, producing durable structures, from manufacture through to on-site construction. All of our steelwork solutions are designed in house, produced in our workshops and constructed by our experienced tradesmen dedicated to achieving an exceptional standard of finish. We have a well-respected reputation in this industry, developed from decades of experience and reinforced by our exceptional service and very satisfied customers. We are able to produce these high-level results whilst remaining competitive with our pricing. Harrison Eastoft provides a thoroughly efficient and cost-effective service. Fortify your steelwork and fabrication project with one of our schemes. Please contact us to discuss a cost-effective and quality solution which meets your requirements.